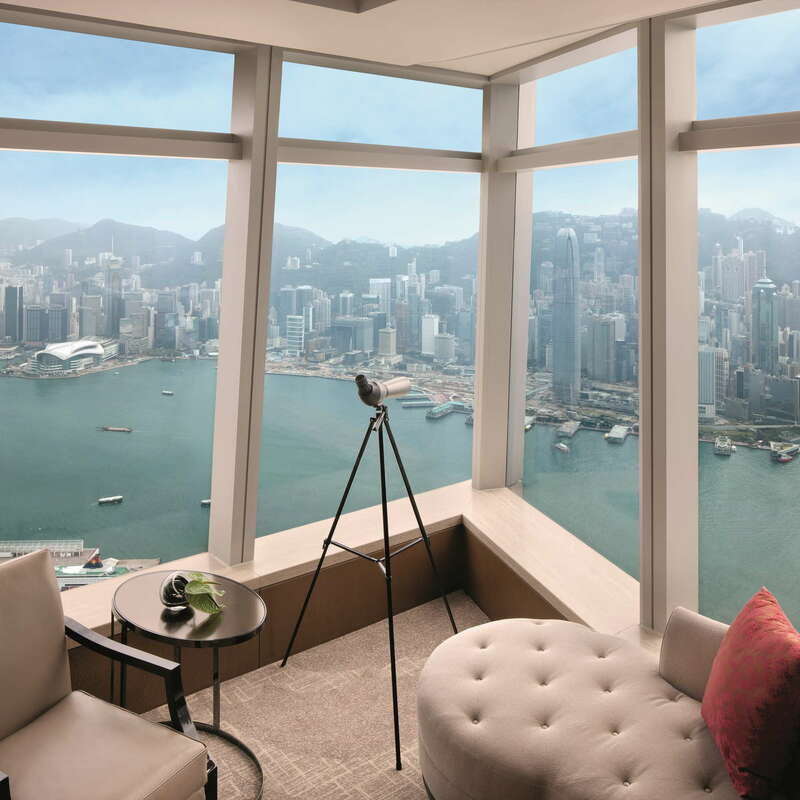 Luxury travelers with a thrill for heights will find they reach the peak of exclusive hotel living at the Ritz-Carlton Hong Kong. 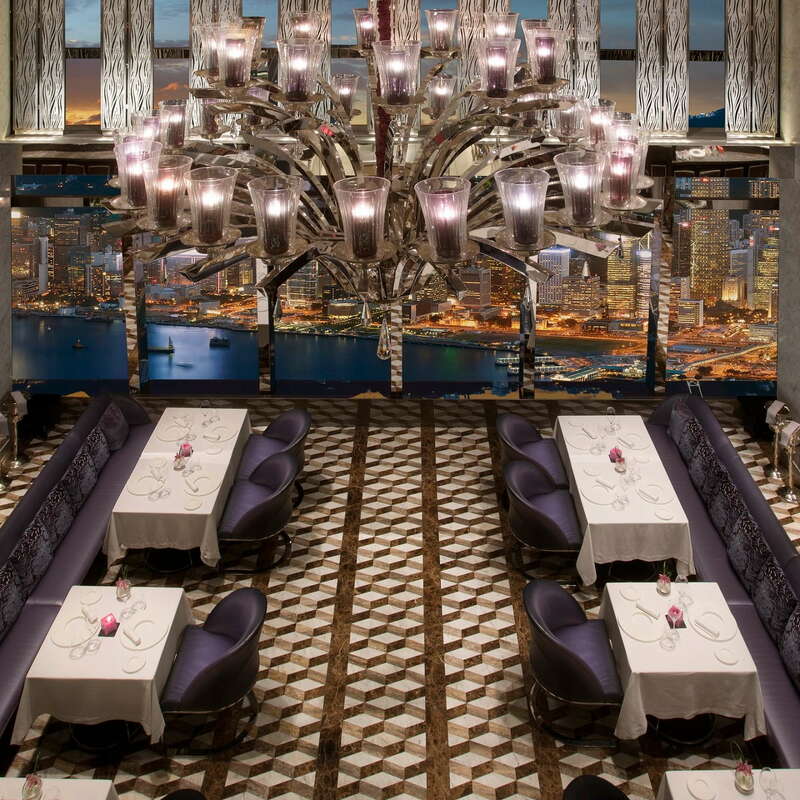 Located on the Kowloon side of the city on floors 102-118 of the International Commerce Centre tower, the hotel is all about its place suspended in the clouds, its views alone enough to attract visitors looking for a luxury hotel experience with that extra je ne sais quoi. YOU SHOULD KNOW A stay here doesn’t come cheap but some will feel that the status of staying in one of the world’s highest hotel rooms is worth the price. 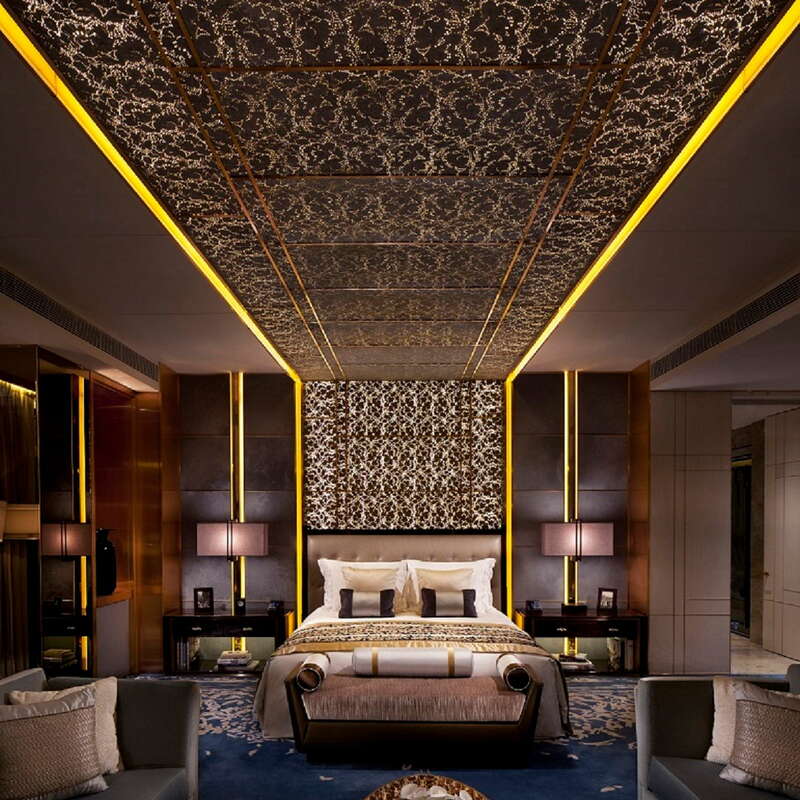 Aside from the peerless panoramic views that take in everything from Victoria Harbour and the South China Sea to the Kowloon and Hong Kong Island skylines, rooms impress with their cozy opulence. 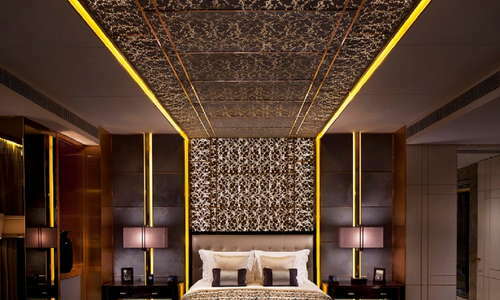 Plush is the word for the décor here, where coffee, caramel and cream tones color the contemporary, classic interiors. Vertigo is no small thing and with floor to ceiling windows in all rooms, those without a head for heights won’t enjoy the sky-high location. Beautiful marble bathrooms are palatial in style, with separate bathtubs and walk-in showers, dual vanities and Asprey bath products. 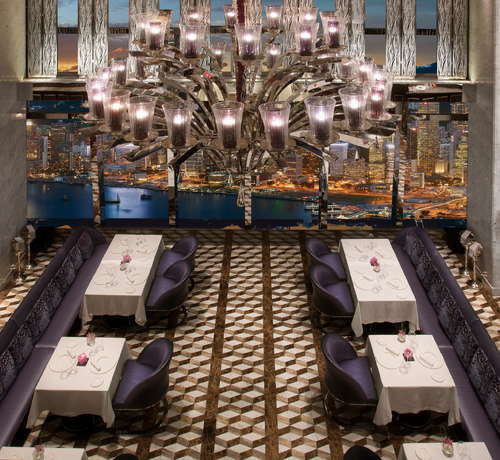 102 floors above the Kowloon streets below, the lobby of the Ritz-Carlton Hotel welcomes guests to the world’s highest hotel. With a look somewhere between a contemporary art gallery and the salon of a high-end designer brand, there’s an immediate sense of exclusivity on arrival as you would hope. 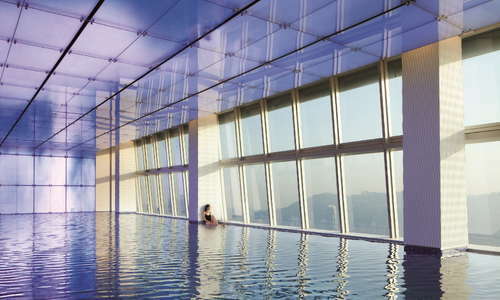 The 118th floor infinity pool offers more of the same incredible views over the city, which might just distract you from swimming laps. 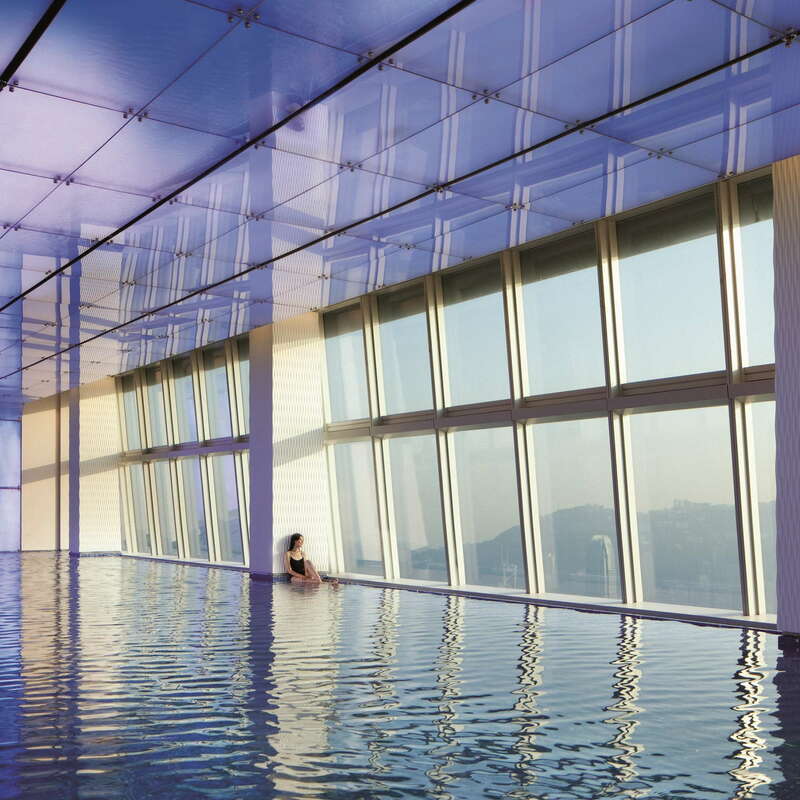 Pamper yourself with Jacuzzi soaks up against floor-to-ceiling windows and indulgent treatments, perfect for couples. Again, it’s hard not to mention the views that extend beyond the cardiovascular machines lined up along the walls of glass. A great gym with a range of top of the line machines. 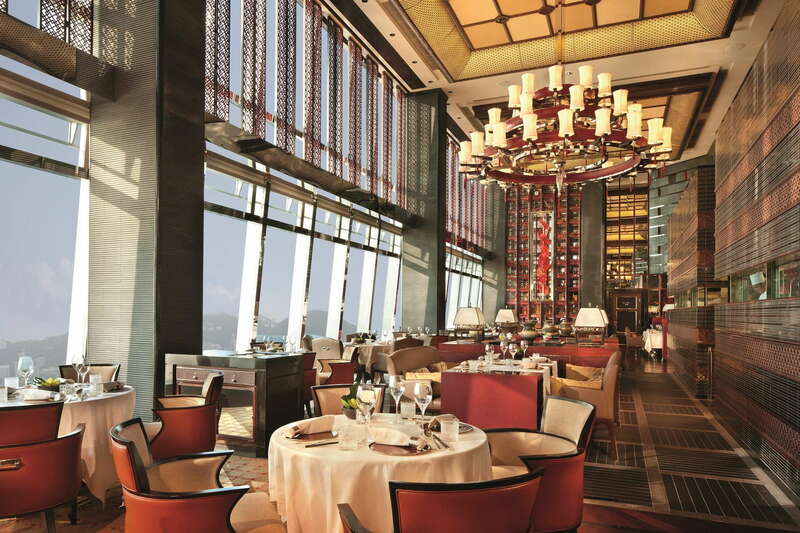 Multiple dining options provide guests with a tough choice come meal times from the traditional with a twist Cantonese cuisines of two Michelin-starred Tin Lung Heen to the contemporary Italian fare of Michelin-starred Tosca. 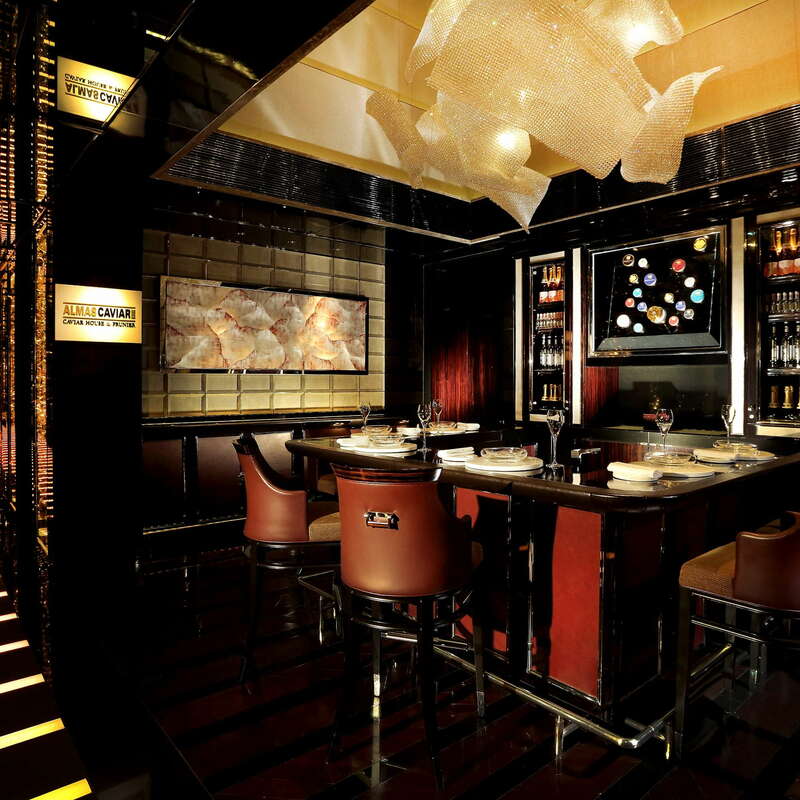 And if you’re really fancy, you’ll make use of the Almas Caviar Bar with a fine glass of Champagne on the side. Could Café 103 be home to the world’s greatest afternoon tea? If the views supporting the layers of cakes, finger sandwiches and artisanal teas have anything to do with it then we’d have to say yes. Drink sensibly at Ozone, the world’s highest bar, where the altitude will make the alcohol in the excellent cocktails hit harder than usual. 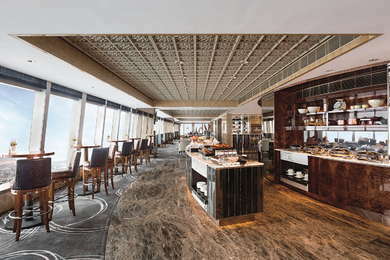 If you require something a little less showy than Ozone, which attracts large numbers for its exclusive status, then opt for cocktails in the more mellow Lounge Bar. 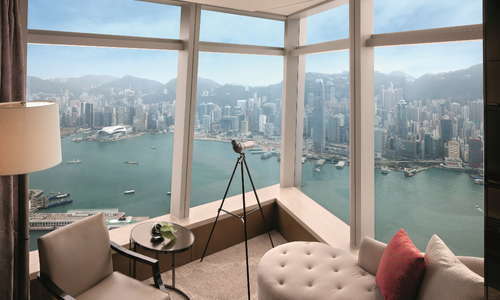 The hotel is suspended among the contemporary developments of Kowloon’s western harbour but the rest of Kowloon and Hong Island are a short MTR ride away. If you want to leave your hotel and immediately feel that classic Hong Kong buzz, this waterfront area might not appeal. 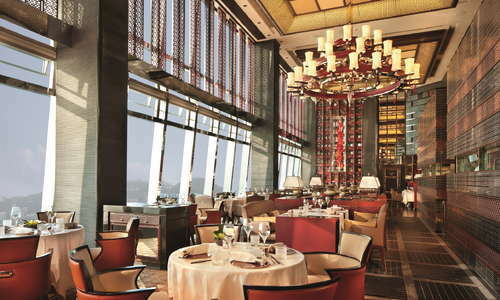 The traditional Chinese cuisine at Hutong (7-minute drive) also comes with great views over the harbour but with a warmer, more authentic feel than anything in the Ritz-Carlton Hong Kong. If you’ve got the urge for more Michelin-starred meals, head over to the Peninsula and its Spring Moon (6-minute drive) Cantonese restaurant where you should definitely sample the tea tasting menu. 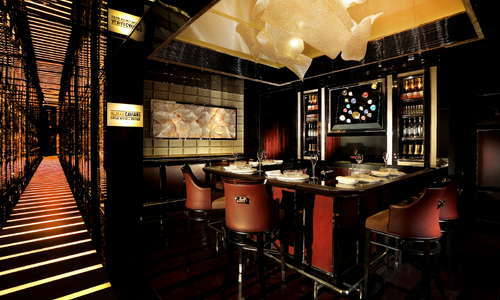 Visit Aqua Spirit (7-minute drive) for more destination drinking in Tsim Sha Tsui. It doesn’t match Ozone for wow factor but it gives it a good shot. 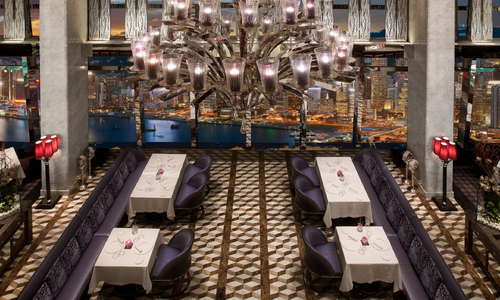 Continue the posh bar tour with a stop at the Artesian Bar (7-minute drive) and enjoy the cocktail bar at the Langham Hotel. Come for the views but stay for the service, luxury amenities, drinking and dining options, and an overall sense of a luxury hotel at the top of its game. $$ &middot; Kowloon &middot; 17 Science Museum Rd.